President Donald Trump taunted media outlets on Tuesday, predicting their ratings would crash after he left office. Trump commented on the news after reacting to several reports on Twitter throughout the morning. The Fake News Media is going CRAZY! They are totally unhinged and in many ways, after witnessing first hand the damage they do to so many innocent and decent people, I enjoy watching. In 7 years, when I am no longer in office, their ratings will dry up and they will be gone! 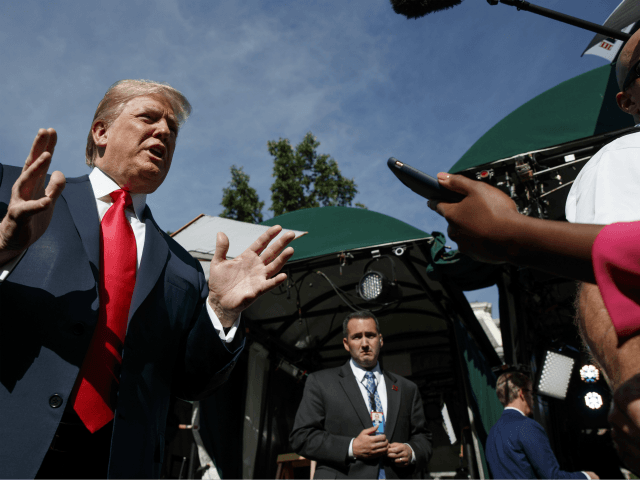 Trump commented on “fake news” despite New York Times publisher A. G. Sulzberger urging him in a weekend meeting to stop using the term to describe the press. “I told the president directly that I thought that his language was not just divisive but increasingly dangerous,” said Sulzberger in a statement.